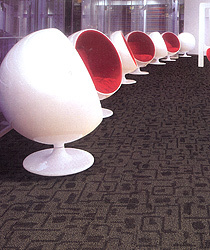 Carpet tiles offer versatility, high performance criteria and a range of design options limited only by the imagination. They are ideally suited to areas where raised access flooring is installed ~ as they can be individually lifted, causing a minimum of disruption. Moreover, worn tiles, at high traffic points, can be easily replaced, either by new tiles, or by unworn tiles taken from the recesses of the carpeted area. For project specifiers, designers, architects and consultants, carpet tiles are more straightforward to work with than broadloom carpets, as it is easier to estimate and calculate the required floor quantities and floor layout plans, based on the standard 50cm x 50cm size of the carpet tiles. 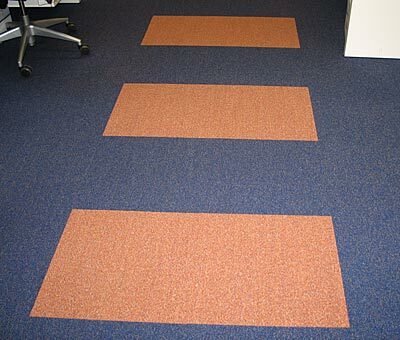 To see all the carpet tiles project we have completed please click here. For installers and contractors, carpet tiles are more convenient to transport on the road and into tight elevators or narrow stairs (especially in newly constructed buildings where the elevators may not yet be not operational). 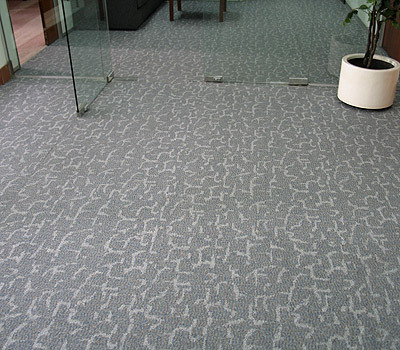 Carpet tiles are an ideal floor covering in all rooms both at work and at home. Hard-wearing, practical and versatile, there are many colours, patterns and textures to choose from. Add to this the easy cleaning and fitting, and you have the perfect solution for all your carpeting needs. Whether you are looking for a tough, hard-wearing carpet for a busy office or a warm, colourful design for your home,we have a great choice of tiles for your selection. All our products are tested to conform to industry standards for wear, flammability and static protection and, when installed and maintained correctly, will retain their excellent appearance for many years. Please contact us for free sampling service. We have sample packs containing small sections of actual tiles so you can compare the colours and patterns to your existing or planned decor. Meanwhile, please do preview our current ranges here: Miko, Mezzo, Mirage, Mascot, Melody 1, Melody 2, Melody 3, Matador 1, Matador 2, Matador 3, Mandate 1, Mandate 2, Mandate 3,, Manhattan, Matador1, Matador2, Mont Blanc, Monte Carlo, Mezzo, Modus 1 - Triones,, Modus 2 - Libra, Modus 3 - Antarctica, Modus 4 - Polaris, Torpedo, Toscana, Trento, Tango, Tiffany, Tradewind and Tera Nova Oregon, and choose one that matches your interior design plans. We also have some new indent nylon tiles the "TRF Series". The advantage of carpet tiles is they can be loose laid: this means you can move them around from time to time to distribute the wear evenly and replace individual tiles should they become damaged. If you spill something, you can simply remove the affected square, wash it clean and leave it to dry flat, away from the direct heat, before replacing it. Usage: Carpet tiles are easy to lay. They are available in a variety of fibres, surfaces, and colours and are usually mottled or plain. ; you can achieve a pattern or chequerboard effect by using different colours together or by laying tiles of the same colour so the piles run at right angles to each other - or you can make a contrasting border. The backing is ..
Sizes: Carpet tiles are widely available in 500mm (19½ inch) squares, so four of these will cover one square metre. Estimating quantity: Since there may be a variation in shade between different batches, buy all you need at the same time. Even so, it is a good idea to open several packets of tiles and mix them up before you lay them so any slight variation in shade is barely noticeable. The sizes available make it easy to calculate the quantity you need. Make a plan of the room on squared paper and work out the area to be covered. Modus 4 - Polaris is an extremely affordable yet strong and durable carpet tile that fully meets the needs of today's competitive office environment. 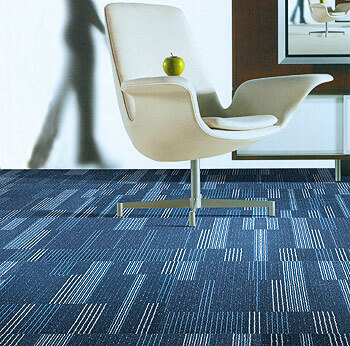 Modus 4 - Polaris Premium Solution Dyed Fiber technology produces a carpet tile that is stain resistant, hard wearing, anti-microbial, flame retardant and permanently anti-static, to provide years of satisfying use. Modus 4 - Polaris heavy duty Cushion Back - "PVC Free" provides a sturdy and dimensionally stable base so that the tiles can be easily laid with just a thin coating of tackifier adhesive. Modus 4 - Polaris is offered in a rich array of 3 upmarket and attractive office colours. The quality and value of Modus 4 - Polaris is assured with a 10 Year Limited Carpet Wear Warranty. The subfloor should be dry, smooth, flat, dust-free and resistant to compression and load bearing. The manufacturer recommends that the carpet tiles be installed in a "checker board" pattern, that is, every 2nd carpet tile should be turned 90° to the tile laid prior to it. If uni-effect is desired, the tiles should be installed with the arrows in the same direction. However, the seams may remain visible to the eye and this should be accepted as an inherent characteristic of carpet tiles. The design and production of Modus 4 Tile conforms to the ISO 14001:2004 Environmental Management System and complies with environmental regulations. 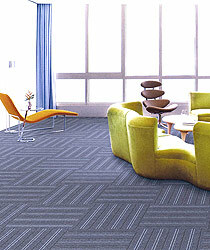 Modus 4 Tile is an environmentally friendly “green” carpet. Permanently Antistatic - electrostatic shock is reduced to a minimum. Suitable for areas where roller - castor chairs are used (chair pads are necessary). Suitable for use in areas where underfloor heating is used. Flame Retardant - does not contribute to the start or spread of fire. Suitable for use in rooms where personal computers are installed. 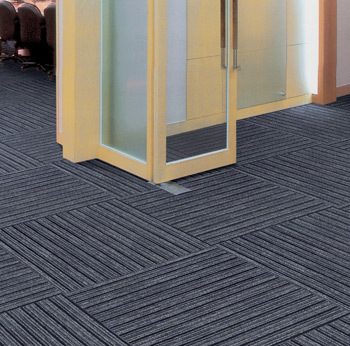 Mandate 3 is an extremely affordable yet strong and durable carpet tile that fully meets the needs of today's competitive office environment. Mandate 3's Premium Solution Dyed Synthetic Fiber technology produces a carpet tile that is stain resistant, hard wearing, anti-microbial, flame retardant and permanently anti-static, to provide years of satisfying use. Mandate 3's ECO Back - PVC Free Cushion Backing provides a sturdy and dimensionally stable base so that the tiles can be easily laid with just a thin coating of tackifier adhesive. The quality and value of Mandate 3 is assured with a 10 Year Wear Warranty and Lifetime Antishock Carpet Warranty. The design and production of Mandate 3 Tile conforms to the ISO 14001:2004 Environmental Management System and complies with environmental regulations. As a responsible manufacturer and to minimize our carbon footprint, a majority of our excess production materials are recycled in-house resulting in a minimum of 10% recycled content in our tile backing. 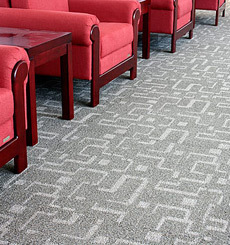 Mandate 3 Tile is an environmentally friendly “green” carpet. BACKING ECO Back - "PVC Free"
Suitable for medium commercial use: offices, shops, banks, school, hospitals, etc. 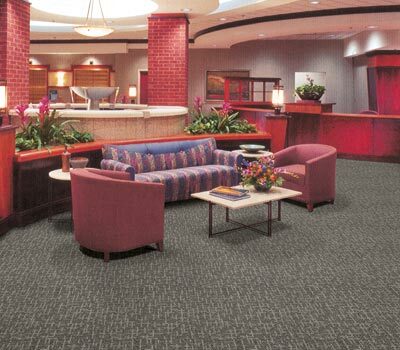 Mandate 2 is an extremely affordable yet strong and durable carpet tile that fully meets the needs of today's competitive office environment. Mandate 2's Premium Solution Dyed Synthetic Fiber technology produces a carpet tile that is stain resistant, hard wearing, anti-microbial, flame retardant and permanently anti-static, to provide years of satisfying use. Mandate 2's ECO Back - PVC Free Cushion Backing provides a sturdy and dimensionally stable base so that the tiles can be easily laid with just a thin coating of tackifier adhesive. The quality and value of Mandate 2 is assured with a 10 Year Wear Warranty and Lifetime Antishock Carpet Warranty. The design and production of Mandate 2 Tile conforms to the ISO 14001:2004 Environmental Management System and complies with environmental regulations. 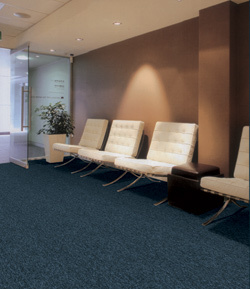 BACKING CO Back - "PVC Free"
Mandate 1 is an extremely affordable yet strong and durable carpet tile that fully meets the needs of today's competitive office environment. Mandate 1's Premium Solution Dyed Synthetic Fiber technology produces a carpet tile that is stain resistant, hard wearing, anti-microbial, flame retardant and permanently anti-static, to provide years of satisfying use. Mandate 1's ECO Back - PVC Free Cushion Backing provides a sturdy and dimensionally stable base so that the tiles can be easily laid with just a thin coating of tackifier adhesive. The quality and value of Mandate 1 is assured with a 10 Year Wear Warranty and Lifetime Antishock Carpet Warranty. Installation Guidelines The subfloor should be dry, smooth, flat, dust-free and resistant to compression and load bearing. The manufacturer recommends that the carpet tiles be installed in a "checker board" pattern, that is, every 2nd carpet tile should be turned 90° to the tile laid prior to it. If uni-effect is desired, the tiles should be installed with the arrows in the same direction. However, the seams may remain visible to the eye and this should be accepted as an inherent characteristic of carpet tiles. Environment The design and production of Mandate 1 Tile conforms to the ISO 14001:2004 Environmental Management System and complies with environmental regulations. As a responsible manufacturer and to minimize our carbon footprint, a majority of our excess production materials are recycled in-house resulting in a minimum of 10% recycled content in our tile backing. Mandate 1 Tile is an environmentally friendly “green” carpet. Manhattan is a prestigious and eye-catching style that reflects the growing desire for the high quality designer-oriented look in today's sophisticated office and commercial environment. Manhattan's Premium Solution Dyed Fiber technology produces a carpet tile-that is stain resistant, hard wearing, anti-microbial, flame retardant, and permanently anti-static, to provide years of satisfying use. Manhattan is offered in 5 designer-coordinated shades, that are ideal for the office environment. The quality and value of Manhattan is assured ith a 10 Year Wear Warranty. TUFT BIND (ASTM-D-1335) 6.5 lbs. / 104.0 ozs. 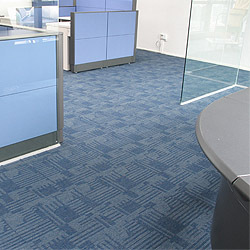 The Mascot Carpet Tile Collection is an extremely affordable yet strong and durable carpet tile that fully meets the needs of today's competitive office environment. Mascot's Premium Solution Dyed Fiber technology produces a carpet tile that is stain resistant, hard wearing, anti-microbial, flame retardant and permanently anti-static, to provide years of satisfying use. Mascot strong ECO - cucshion - "PVC Free" backing provides a sturdy and dimensionally stable base so that the tiles can be easily laid using permanent adheisve.. Mascot is offered in a practical range of 4 office colours. The quality and value of Mascot is assured with a 5 Year Wear Warranty. The design and production of Mascot Tile conforms to the ISO 14001:2004 Environmental Management System and complies with environmental regulations. Mascot Tile is an environmentally friendly “green” carpet. SECONDARY BACKING ECO Cushion Backing - "PVC Free"
TUFT BIND (ASTM-D-1335) 7.6 lbs. / 104.0 ozs. 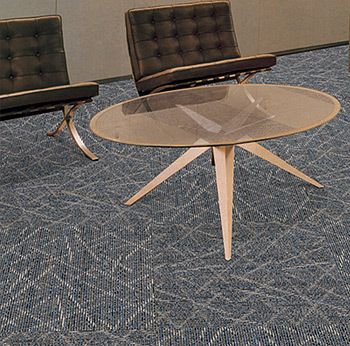 Matador 1 is an extremely affordable yet strong and durable carpet tile that fully meets the needs of today's competitive office environment. Matador 1's Premium Solution Dyed Synthetic Fiber technology produces a carpet tile that is stain resistant, hard wearing, anti-microbial, flame retardant and permanently anti-static, to provide years of satisfying use. Matador 1's heavy duty PVC - Free Eco Cushion Backing with Fibre Glass Layer provides a sturdy and dimensionally stable base so that the tiles can be easily laid with just a thin coating of tackifier adhesive. The quality and value of Matador 1 is assured with a 10 Year Wear Warranty and Lifetime Antishock Carpet Warranty. The design and production of Matador 1 Tile conforms to the ISO 14001:2004 Environmental Management System and complies with environmental regulations. Matador 1 Tile is an environmentally friendly “green” carpet. Matador 2 is an extremely affordable yet strong and durable carpet tile that fully meets the needs of today's competitive office environment. Matador 2's Premium Solution Dyed Synthetic Fiber technology produces a carpet tile that is stain resistant, hard wearing, anti-microbial, flame retardant and permanently anti-static, to provide years of satisfying use. Matador 2's heavy duty PVC - Free Eco Cushion Backing with Fibre Glass Layer provides a sturdy and dimensionally stable base so that the tiles can be easily laid with just a thin coating of tackifier adhesive. The quality and value of Matador 2 is assured with a 10 Year Wear Warranty and Lifetime Antishock Carpet Warranty. The design and production of Matador 2 Tile conforms to the ISO 14001:2004 Environmental Management System and complies with environmental regulations. 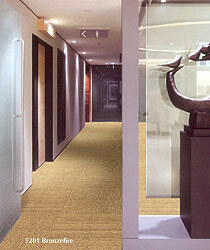 Matador 2 Tile is an environmentally friendly “green” carpet. Matador 3 is an extremely affordable yet strong and durable carpet tile that fully meets the needs of today's competitive office environment. Matador 3's Premium Solution Dyed Synthetic Fiber technology produces a carpet tile that is stain resistant, hard wearing, anti-microbial, flame retardant and permanently anti-static, to provide years of satisfying use. Matador 3's heavy duty PVC - Free Eco Cushion Backing with Fibre Glass Layer provides a sturdy and dimensionally stable base so that the tiles can be easily laid with just a thin coating of tackifier adhesive. The quality and value of Matador 3 is assured with a 10 Year Wear Warranty and Lifetime Antishock Carpet Warranty. The design and production of Matador 3 Tile conforms to the ISO 14001:2004 Environmental Management System and complies with environmental regulations. 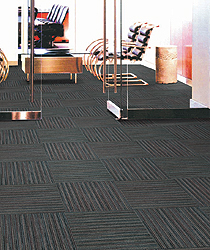 Matador 3 Tile is an environmentally friendly “green” carpet. The Melody 1 Carpet Tile Collection is an extremely affordable yet strong and durable carpet tile that fully meets the needs of today's competitive office environment. Melody 1 Premium Solution Dyed Fiber technology produces a carpet tile that is stain resistant, hard wearing, anti-microbial, flame retardant and permanently anti-static, to provide years of satisfying use. Melody 1 strong backing provides a sturdy and dimensionally stable base so that the tiles can be easily laid using permanent adheisve. Melody 1 is offered in a practical range of 5 office colours. The quality and value of Melody 1 is assured with a 10 Year Wear Warranty. SECONDARY BACKING ECO Backing - "PVC Free"
The design and production of Melody 1 Tile conforms to the ISO 14001:2004 Environmental Management System and complies with environmental regulations. Melody 1 Tile is an environmentally friendly “green” carpet. The Melody 2 Carpet Tile Collection is an extremely affordable yet strong and durable carpet tile that fully meets the needs of today's competitive office environment. Melody 2 Premium Solution Dyed Fiber technology produces a carpet tile that is stain resistant, hard wearing, anti-microbial, flame retardant and permanently anti-static, to provide years of satisfying use. Melody 2 strong backing provides a sturdy and dimensionally stable base so that the tiles can be easily laid using permanent adheisve. Melody 2 is offered in a practical range of 5 office colours. The quality and value of Melody 2 is assured with a 10 Year Wear Warranty. The design and production of Melody 2 Tile conforms to the ISO 14001:2004 Environmental Management System and complies with environmental regulations. Melody 2 Tile is an environmentally friendly “green” carpet. PILE HEIGHT ca. 3mm (+/- 0.5mm). The Melody 3 Carpet Tile Collection is an extremely affordable yet strong and durable carpet tile that fully meets the needs of today's competitive office environment. Melody 3 Premium Solution Dyed Fiber technology produces a carpet tile that is stain resistant, hard wearing, anti-microbial, flame retardant and permanently anti-static, to provide years of satisfying use. Melody 3 strong backing provides a sturdy and dimensionally stable base so that the tiles can be easily laid using permanent adheisve. Melody 3 is offered in a practical range of 4 office colours. The quality and value of Melody 3 is assured with a 10 Year Wear Warranty. The design and production of Melody 3 Tile conforms to the ISO 14001:2004 Environmental Management System and complies with environmental regulations. Melody 3 Tile is an environmentally friendly “green” carpet. Mezzo is an extremely affordable yet strong and durable carpet tile that fully meets the needs of today's competitive office environment. Mezzo premium BCF Solution Dyed Fiber technology produces a carpet tile that is stain resistant, hard wearing, anti-microbial, flame retardant and permanently anti-static, to provide years of satisfying use. Mezzo heavy duty PVC backing with Fibre Glass Layer provides a sturdy and dimensionally stable base so that the tiles can be easily laid with just a thin coating of tackifier adhesive. 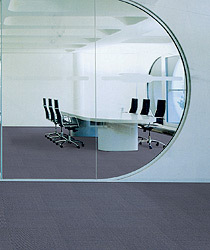 Mezzo is offered in a rich array of 4 upmarket and attractive office colours. The quality and value of Mezzo is assured with a 10 Year Wear Warranty. 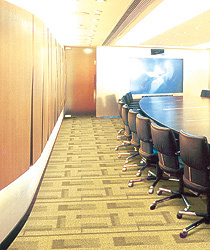 Meridien is an extremely affordable yet strong and durable carpet tile that fully meets the needs of today's competitive office environment. 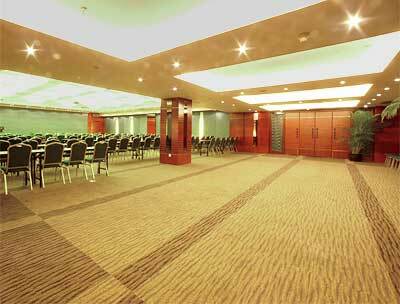 Meridien Premium Solution Dyed Synthetic Fiber technology produces a carpet tile that is stain resistant, hard wearing, anti-microbial, flame retardant and permanently anti-static, to provide years of satisfying use. 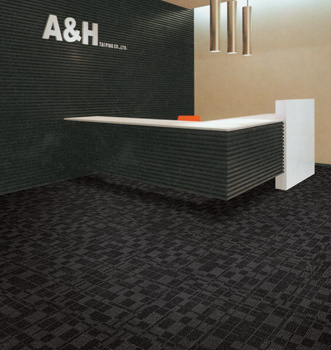 Meridien heavy duty PVC - Backing with Fibre Glass Layer provides a sturdy and dimensionally stable base so that the tiles can be easily laid with just a thin coating of tackifier adhesive. The quality and value of Meridien is assured with a 10 Year Wear Warranty and Lifetime Antishock Carpet Warranty. The Miko Carpet Tile Collection is an extremely affordable yet strong and durable carpet tile that fully meets the needs of today's competitive office environment. Miko's Premium Solution Dyed Fiber technology produces a carpet tile that is stain resistant, hard wearing, anti-microbial, flame retardant and permanently anti-static, to provide years of satisfying use. Mikos strong backing provides a sturdy and dimensionally stable base so that the tiles can be easily laid using permanent adheisve..
Miko is offered in a practical range of 10 office colours. The quality and value of Miko is assured with a 5 Year Wear Warranty. 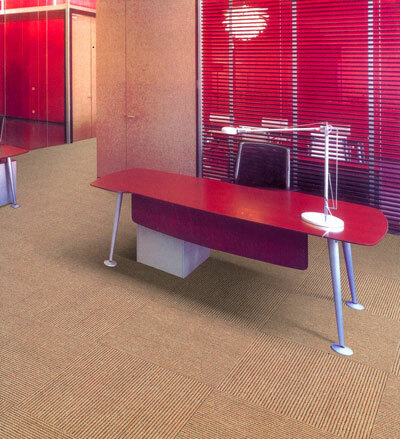 Mirage is an extremely affordable yet strong and durable carpet tile that fully meets the needs of today's competitive office environment. 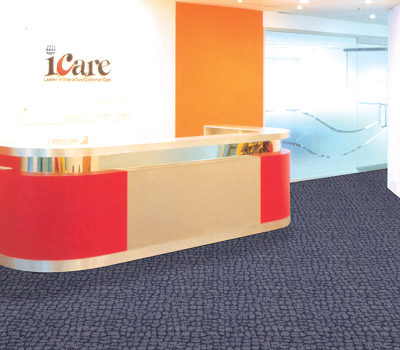 Mirage premium BCF Solution Dyed Fiber technology produces a carpet tile that is stain resistant, hard wearing, anti-microbial, flame retardant and permanently anti-static, to provide years of satisfying use. Mirage heavy duty PVC backing with Fibre Glass Layer provides a sturdy and dimensionally stable base so that the tiles can be easily laid with just a thin coating of tackifier adhesive. 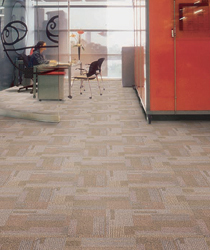 Mirage is offered in a rich array of 4 upmarket and attractive office colours. The quality and value of Mirage is assured with a 10 Year Wear Warranty. Modus 1 - Triones is an extremely affordable yet strong and durable carpet tile that fully meets the needs of today's competitive office environment. Modus 1 - Triones Premium Solution Dyed Fiber technology produces a carpet tile that is stain resistant, hard wearing, anti-microbial, flame retardant and permanently anti-static, to provide years of satisfying use. Modus 1 - Triones heavy duty Cushion Back - "PVC Free" provides a sturdy and dimensionally stable base so that the tiles can be easily laid with just a thin coating of tackifier adhesive. Modus 1 - Triones is offered in a rich array of 2 upmarket and attractive office colours. The quality and value of Modus 1 - Triones is assured with a 10 Year Limited Carpet Wear Warranty. The design and production of Modus 1 Tile conforms to the ISO 14001:2004 Environmental Management System and complies with environmental regulations. Modus 1 Tile is an environmentally friendly “green” carpet. Modus 2 - Libra is an extremely affordable yet strong and durable carpet tile that fully meets the needs of today's competitive office environment. Modus 2 - Libra's Premium Solution Dyed Fiber technology produces a carpet tile that is stain resistant, hard wearing, anti-microbial, flame retardant and permanently anti-static, to provide years of satisfying use. Modus 2 - Libra's heavy duty Cushion Back - "PVC Free" provides a sturdy and dimensionally stable base so that the tiles can be easily laid with just a thin coating of tackifier adhesive. Modus 2 - Libra is offered in a rich array of 3 upmarket and attractive office colours. 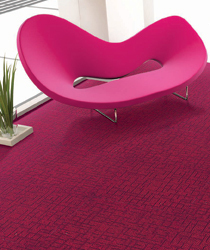 The quality and value of Modus 2 - Libra is assured with a 10 Year Limited Carpet Wear Warranty. The design and production of Modus 2 Tile conforms to the ISO 14001:2004 Environmental Management System and complies with environmental regulations. 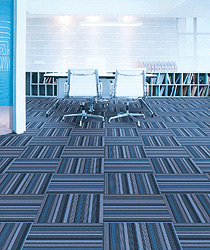 Modus 2 Tile is an environmentally friendly “green” carpet. Modus 3 - Antarctica is an extremely affordable yet strong and durable carpet tile that fully meets the needs of today's competitive office environment. Modus 3 - Antarctica'a Premium Solution Dyed Fiber technology produces a carpet tile that is stain resistant, hard wearing, anti-microbial, flame retardant and permanently anti-static, to provide years of satisfying use. Modus 3 Antarctica's heavy duty Cushion Back - "PVC Free" provides a sturdy and dimensionally stable base so that the tiles can be easily laid with just a thin coating of tackifier adhesive. Modus 3 - Antarctica is offered in a rich array of 2 upmarket and attractive office colours. The quality and value of Modus 3 - Antarctica is assured with a 10 Year Limited Carpet Wear Warranty. The design and production of Modus 3 Tile conforms to the ISO 14001:2004 Environmental Management System and complies with environmental regulations. 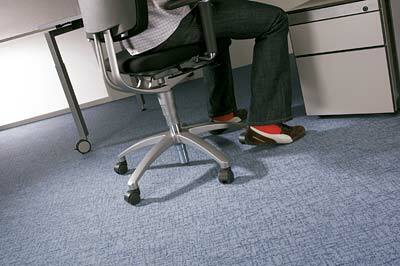 Modus 3 Tile is an environmentally friendly “green” carpet. 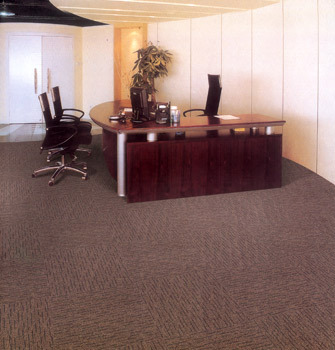 Monte Carlo is an extremely affordable yet strong and durable carpet tile that fully meets the needs of today's competitive office environment. The edges of the tiles join beautifully to give an almost seamless effect. Monte Carlo's heavy-duty Bitumen backing provides a sturdy yet flexible and dimensionally stable base so that the tiles can be easily laid with just a superficial coating of tackifier adhesive. Monte Carlo is offered in an array of 4 upmarket and attractive colours. The quality and value of Monte Carlo is assured with a 10 Year Limited Wear Warranty. The design and production of Monte Carlo Tile conforms to the ISO 14001:2004 Environmental Management System and complies with environmental regulations. 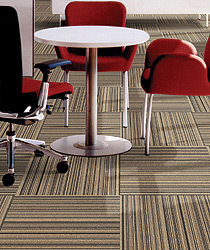 Monte Carlo Tile is an environmentally friendly “green” carpet. Mont Blanc is a prestigious and eye-catching style that reflects the growing desire for the high quality designer-oriented look in today's sophisticated office and commercial environment. Mont Blanc's Premium Solution Dyed Fiber technology produces a carpet tile-that is stain resistant, hard wearing, anti-microbial, flame retardant, and permanently anti-static, to provide years of satisfying use. Mont Blanc is offered in 5 designer-coordinated shades, that are ideal for the office environment. The quality and value of Mont Blanc is assured with a 10 Year Wear Warranty. The design and production of Mont Blanc Tile conforms to the ISO 14001:2004 Environmental Management System and complies with environmental regulations. Mont Blanc Tile is an environmentally friendly “green” carpet. 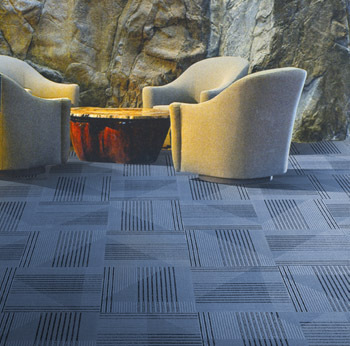 The Mystic Carpet Tile Collection is an extremely affordable yet strong and durable carpet tile that fully meets the needs of today's competitive office environment. Mystic Premium Solution Dyed Fiber technology produces a carpet tile that is stain resistant, hard wearing, anti-microbial, flame retardant and permanently anti-static, to provide years of satisfying use. Mystic strong backing provides a sturdy and dimensionally stable base so that the tiles can be easily laid using permanent adheisve.. Mystic is offered in a practical range of 5 office colours. The quality and value of Mystic is assured with a 10 Year Wear Warranty. The design and production of Mystic Tile conforms to the ISO 14001:2004 Environmental Management System and complies with environmental regulations. Mystic Tile is an environmentally friendly “green” carpet. Tiffany is a linear nylon carpet tile style that blends easily with any office environment and design, and keeps the floor looking fresh and clean all the time..
Tiffany's Imported Nylon Fiber from Italy and densely packed surface pile produces a carpet tile that is extremely hard wearing, stain resistant, flame retardant, and permanently anti-static, to provide years of satisfying use. Tiffany is offered in 7 designer-coordinated shades, that are ideal for the office environment. The quality and value of Tiffany is assured with a 10 Year Wear Warranty. The design and production of Tiffany Tile conforms to the ISO 14001:2004 Environmental Management System and complies with environmental regulations. Tiffany Tile is an environmentally friendly “green” carpet. Torpedo is an abstract multi-color speckled nylon carpet tile style that blends easily with any office environment and design, and keeps the floor looking fresh and clean all the time..
Torpedo's Premium Quality Nylon Fiber and densely packed surface pile produces a carpet tile that is extremely hard wearing, stain resistant, anti-microbial, flame retardant, and permanently anti-static, to provide years of satisfying use. Torpedo'sis offered in 4 designer-coordinated shades, that are ideal for the office environment. The quality and value of Torpedo is assured with a 10 Year Wear Warranty and Lifetime Antishock Carpet Warranty. Toscana is an abstract patterned style that reflects the growing desire for the high quality designer-oriented look in today's sophisticated office and commercial environment. Toscana's Premium Quality Nylon Fiber produces a carpet tile-that is stain resistant, extremely hard wearing, anti-microbial, flame retardant, and permanently anti-static, to provide years of satisfying use. Toscana is offered in 6 designer-coordinated shades, that are ideal for the office environment. The quality and value of Toscana is assured with a 10 Year Wear Warranty. Trento is an abstract multi-color speckled nylon carpet tile style that blends easily with any office environment and design, and keeps the floor looking fresh and clean all the time..
Trento's Premium Quality Nylon Fiber and densely packed surface pile produces a carpet tile that is extremely hard wearing, stain resistant, anti-microbial, flame retardant, and permanently anti-static, to provide years of satisfying use. Trento is offered in 6 designer-coordinated shades, that are ideal for the office environment. The quality and value of Trento is assured with a 10 Year Wear Warranty. Tango is a prestigious and eye-catching style that reflects the growing desire for the high quality designer-oriented look in today's sophisticated office and commercial environment. 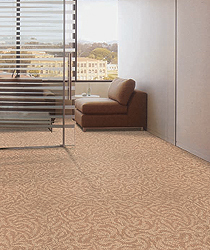 Tango's Premium Solution Dyed Invista Nylon Fiber technology produces a carpet tile-that is stain resistant, hard wearing,anti-microbial, flame retardant, and permanently anti-static, to provide years of satisfying use. Tango is offered in 4 designer-coordinated shades, that are ideal for the office environment. The design and production of Tango Tile conforms to the ISO 14001:2004 Environmental Management System and complies with environmental regulations. Tango Tile is an environmentally friendly “green” carpet..
Tradewind is a prestigious and eye-catching style that reflects the growing desire for the high quality designer-oriented look in today's sophisticated office and commercial environment. 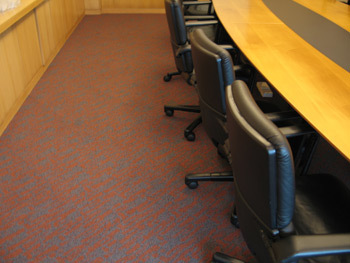 Tradewind's Premium Solution Dyed Invista Nylon Fiber technology produces a carpet tile-that is stain resistant, hard wearing,anti-microbial, flame retardant, and permanently anti-static, to provide years of satisfying use. Tradewind is offered in 4 designer-coordinated shades, that are ideal for the office environment. The quality and value of Tradewind is assured with a 10 Year Wear Warranty. TUFT BIND 6.5 lbs. / 104.0 ozs. The design and production of Tradewind Tile conforms to the ISO 14001:2004 Environmental Management System and complies with environmental regulations. 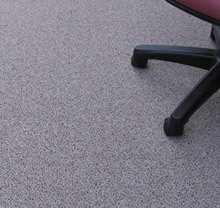 Tradewind Tile is an environmentally friendly “green” carpet. 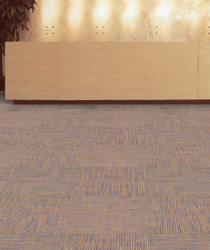 Terranova Oregon is an extremely affordable yet strong and durable carpet tile that fully meets the needs of today's competitive office environment. Terranova Oregon Premium Fablelon CS Solution Dyed Nylon technology produces a carpet tile that is stain resistant, hard wearing, anti-microbial, flame retardant and permanently anti-static, to provide years of satisfying use. Terranova Oregon's heavy duty T-Flex Supra backing provides a sturdy and dimensionally stable base so that the tiles can be easily laid with just a thin coating of tackifier adhesive. Terranova Oregon is offered in a rich array of 8 upmarket and attractive colours for heavy ontract use. The quality and value of Terranova Oregon is assured with a 10 Year Limited Wear Warranty. The design and production of Terranova - Oregon Tile conforms to the ISO 14001:2004 Environmental Management System and complies with environmental regulations. 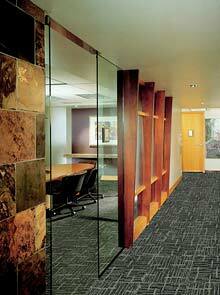 Terranova - Oregon Tile is an environmentally friendly “green” carpet. TRF Series - TAGLET is an abstract patterned style that reflects the growing desire for the high quality designer-oriented look in today's sophisticated office and commercial environment. TRF Series - TAGLET Premium Aquafil European Nylon Fiber produces a carpet tile-that is stain resistant, extremely hard wearing, anti-microbial, flame retardant, and permanently anti-static, to provide years of satisfying use. TRF Series - TAGLET is offered in 6 designer-coordinated shades, that are ideal for the office environment. The quality and value of TRF Series - TAGLET is assured with a 10 Year Wear Warranty. TUFT BIND (ASTM-D-1335) 10.3 lbs. The design and production of TRF Tile conforms to the ISO 14001:2004 Environmental Management System and complies with environmental regulations. 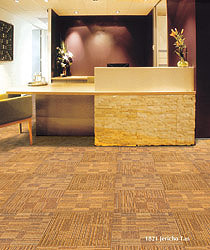 TRF Tile is an environmentally friendly “green” carpet. TRF Series - TAMELA is an abstract patterned style that reflects the growing desire for the high quality designer-oriented look in today's sophisticated office and commercial environment. TRF Series - TAMELA Premium Aquafil European Nylon Fiber produces a carpet tile-that is stain resistant, extremely hard wearing, anti-microbial, flame retardant, and permanently anti-static, to provide years of satisfying use. TRF Series - TAMELA is offered in 5 designer-coordinated shades, that are ideal for the office environment. The quality and value of TRF Series - TAMELA is assured with a 10 Year Wear Warranty. TRF Series - TAZZA is an abstract patterned style that reflects the growing desire for the high quality designer-oriented look in today's sophisticated office and commercial environment. TRF Series - TAZZA Premium Aquafil European Nylon Fiber produces a carpet tile-that is stain resistant, extremely hard wearing, anti-microbial, flame retardant, and permanently anti-static, to provide years of satisfying use. TRF Series - TAZZA is offered in 4 designer-coordinated shades, that are ideal for the office environment. The quality and value of TRF Series - TAZZA is assured with a 10 Year Wear Warranty. TRF Series - TRAVIAN is an abstract patterned style that reflects the growing desire for the high quality designer-oriented look in today's sophisticated office and commercial environment. TRF Series - TRAVIAN Premium Aquafil European Nylon Fiber produces a carpet tile-that is stain resistant, extremely hard wearing, anti-microbial, flame retardant, and permanently anti-static, to provide years of satisfying use. TRF Series - TRAVIAN is offered in 4 designer-coordinated shades, that are ideal for the office environment. The quality and value of TRF Series - TRAVIAN is assured with a 10 Year Wear Warranty. TRF Series - TWINGLE is an abstract patterned style that reflects the growing desire for the high quality designer-oriented look in today's sophisticated office and commercial environment. TRF Series - TWINGLE Premium Aquafil European Nylon Fiber produces a carpet tile-that is stain resistant, extremely hard wearing, anti-microbial, flame retardant, and permanently anti-static, to provide years of satisfying use. TRF Series - TWINGLE is offered in 5 designer-coordinated shades, that are ideal for the office environment. The quality and value of TRF Series - TWINGLE is assured with a 10 Year Wear Warranty.